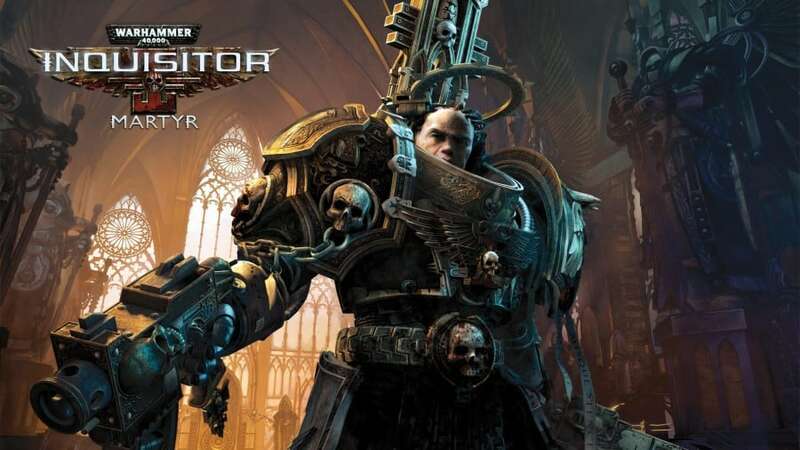 In the last few weeks we were quieter than usual, as we were hard at work on a next update for Warhammer 40,000: Inquisitor – Martyr. It took a bit longer than expected... and we get that such a long wait between updates can be a bit frustrating. But don’t panic! A panicking Inquisitor looks very unprofessional. For several reasons, we decided to merge the smaller patches and the bigger upcoming content update, which meant no smaller fixes were released. The new content patch will change a large portion of the game, yet again (but this was expected), causing smaller and bigger problems (some of which are expected, others being trickier), and well... one thing leads to another, addressing one corruption reveals another treachery... you know the drill. During the development of this update while adding more content, we decided to include more fixes and changes according to player feedback as well. There were many, and by looking into all the problems, the game slowly becomes more wholesome. Currently, we’re reworking the Assassin class to introduce her properly into the game, this is our main priority. Also, we’re working on implementing more star systems and levels, slowly completing Tier 1, so we can have a solid foundation to move forward. These are the bigger changes, but there’s plenty more which we’ll include in the next changelog. Rest assured that the quiet time this month was not wasted, and Inquisitor – Martyr again became bigger, it grew not only in size, but in depth as well. We’d also like to confirm that the Roadmap will change because of the developments during this month, and we’re adjusting milestones accordingly. For now, this doesn’t affect most of the soft dates, as some things were brought forward, others are still under development... we just have to rearrange some things to make the Roadmap more up to date and accurate. The good news is that after this tough milestone we can see the road ahead of us much better, and that your contributions and feedback proved to be very helpful during development. We’re trying to be very clear about what we’re working on, and hopefully this post clarifies things a bit. We’re still on the right track towards our goal: delivering a huge and memorable Action-RPG with as much polish and content as possible at its release date. As for the next update (including the new class, the Assassin), the wait is coming to an end soon. We hope you’ll like it, but until then let us know if you have any more questions or additional feedback. Report all heretics and enjoy the purge! Excellent work, great to see Neocore actually taking the time to properly work through the bugs and issues and not just rushing out patches and updates to keep those who are impatient satisfied. Looking forward to playtesting the Assassin and to see whats in store for the game next. Again great work and thanks. My steam is updating at a 1,7gb patch,,is it here? A bit let down to be honest. There was a lot on the horizon when I bought the game, and I was looking forward to trying out the new features. First we are told one thing, then we are told a patch is coming in a couple of days, not we get a "SOON". Not cool. Any idea when we will see new road map? To be honest, it's a fair observation that nothing exact was said, but that's just because we just can't really predict precisely everything... at least not until a few more trips down the Warp, but that's another matter entirely. - Giving an explanation for the longer than usual quiet time from our part and assuring you that we're still working very hard. We look forward to seeing the fruits of your effort. Lets hope for a smooth patch day. Emps be with us. Good. It is good for you to communicate, and even better for you to acknowledge that it requires more time to work on, then adjust your schedule to fit. To rush things is to make errors in haste. Why thumbs down me fanboys? I only told the truth. His post contains no actual information. Here's all he said. 1. There's a patch coming. It's alpha, there's always a patch coming. He didn't tell us 99% of what's in it. He didn't give a date. He didn't even give a rough estimate. 2. More star systems and levels. Yeah thanks captain Obvious. We thought this was all there would ever be. How many new star systems? What difficulty? Will they actually be new or the same tilesets we have now? There's no actual information there. None of my questions were answered. All he said was that they were going to do something that was inevitable anyway. 3. The roadmap will change. How? When will it be updated? Once again no real information. 4. The wait for assassin will end soon. When? "Soon" can mean anything between next week and never when a game developer uses it. It's an utterly meaningless word. Why did you even waste our time with this post? I learned nothing from it. You can be quite sure that patch will be on during the Age of Terra (M1-M15), it's not that long to wait, really :) Good thing take time to complete. Adeptus Developers will deliver. Have faith, brothers! yeah, figured this out eventually. Now stuck with "inability to claim crafted stuff" bug. In this year maybe. Not sure though, I'd say 50%. where can i see this roadmap? That's a very healthy attitude when it comes to games. Rather stay quiet for a while and get this sorted properly. I know that whatever the next big patch brings, it will be worth the wait. So will we get the update before the weekend, because I have been hearing soon for the last 3 weeks. Cant wait for more! great work so far! I must say the transparency that this development team has courted with the community has been nothing short of refreshing and top shelf for inspiring devotion to the Emperor and the Imperium at large. Please gentlemen, continue the great work! Thanks for the update, keep going! I just wanted to leave my kudos, too: I am already in love with this game - even 0.2. I can hardly wait for the next "evolution". First of all, this Alpha is good. Some options are not intuitive enough. I can't find tutorials for crafting etc. I dont't get where can I acquire enchantments (three random things that are required for crafting) so CRAFT button is disabled. Minor issue with ability to walk through desk with starmap and missions on the ship. When is Xbox gamepad support going to be implemented? You guys are doing a great job, and I'm enjoying the process a lot! I can't wait to cover the next milestone and play the Assassin! The potential for this game is really huge, and I would rather see it done right than hasty and not at all! Any eta on the new roadmap? well for the Emperor then and lets kill some heretics and xenos then. Need more ammo, lots and lots more ammo. Nice news. Will I be able to wlak backwards while shooting in forward direction then? Best greetings! Will the changelog be posted before release of the latest update? Looking forward to new content and hopefully a crafting fix? !